As part of its annual Mastercraft Collection, Copper Coast is a collection of rare and outstanding pieces representing the House of Waterford’s most prestigious offering. The elite Master Craftsmen spend years learning their craft with hands-on experience of every intricate aspect of the crystal making process transforming the finest raw materials into crystal works of art. The inspiration for Copper Coast comes from the rugged Irish coastline that stretches between Tramore and Dungarvan where the copper mining industry thrived in the 19th Century. This beautiful scenic area is a haunting reminder of the past which has now reverted to nature and the pattern reflects the calmness and serenity of the view. The five pieces tie together design elements inspired by the horizon, the movement of the ocean, the minerals from the rocky rugged shore and the man-made Coppermine Tower. Stunningly crafted using skills perfected over decades, the Copper Coast collection also reflects the Irish tradition for bringing people together making everyday moments special with outstanding crystal design. The magic, atmospheric quality of candlelight is beautifully enhanced by this stunning Copper Coast Hurricane with its elegant footed design and gently fluted edges. Expertly crafted in pure crystal with meticulous attention to detail, the wide band of tight refracting Karo cuts represent the ocean, and the deep cut rings the horizon along the rugged Irish coastline that stretches between Tramore and Dungarvan. Echoing Ireland’s rich mining history and showcasing the time-honoured skills of Waterford’s Master Craftsmen, this truly striking centrepiece is beautifully presented in a Waterford signature grey gift box bringing style to the home and the gentle flicker of candlelight to a memorable entertaining occasion. Bringing elegance and sophistication to the home, the tall slim 16” Copper Coast Vase has a gently fluted design perfect for a striking floral display. Inspired by the rugged beauty of the Irish coastline between Tramore and Dungarvan and the imposing Coppermine Tower, the vase is beautifully created in crystal by Waterford’s Master Craftsmen. The wide central band of tight refracting Karo cuts represent the movement of the ocean, the deep cut rings the horizon and the olive cuts at the base the minerals extracted from the rocks by the ancient miners. 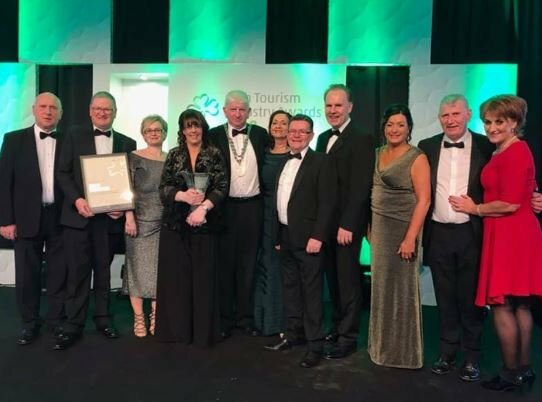 Embodying the expertise and outstanding quality that have made Waterford world famous for incredible quality, the vase is presented in a signature grey gift box providing a memorable gift giving opportunity. The tall elliptical shape of this elegant 13” Copper Coast Vase is inspired by the beautiful rugged Irish coastline that stretches between Tramore and Dungarvan and the imposing Coppermine Tower, a reminder of the area’s rich mining heritage. The Master Craftsmen of Waterford have incorporated these elements into a stunning, meticulously crafted design with tight Karo cuts representing the movement of the ocean, the deep cut rings echoing the horizon and the olive cuts at the base the minerals extracted from the rocks. This striking vase is ready to be filled with an elegant floral display at the heart of a gathering of family or friends in the Irish tradition of warm hospitality and shared memorable moments. Presented in a signature grey gift box this is a truly special piece. The classic shape of this beautiful 12” Copper Coast Bowl forms a generous serving piece to share warm Irish hospitality with family and friends. Intricately created by the skilled Master Craftsmen at the House of Waterford, the sparkling crystal design is inspired by the scenic rugged coastline stretching between Tramore and Dungarvan and its rich mining heritage. Different elements blend stylishly into the pattern, the tight refracting Karo cuts symbolise the movement of the ocean, the deep cut circles and clear band above are inspired by the horizon and the olive cuts at the base by the minerals extracted from the rocks. Authentic design, outstanding craftsmanship and the breath-taking Irish landscape combine in this stunning piece stylishly presented in a signature grey box making a gift to truly treasure. 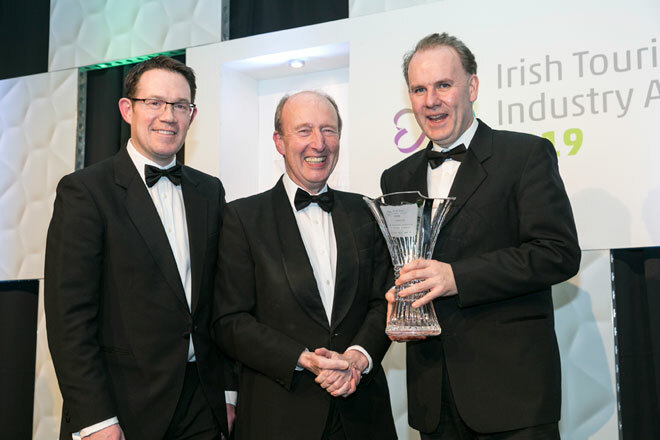 Martin was born in Waterford City, his parents both from Waterford moved to Drogheda, when Martin was three months old, Martins Dad worked for a company in Waterford that relocated to Drogheda. It was in Drogheda that Martin completed his education. 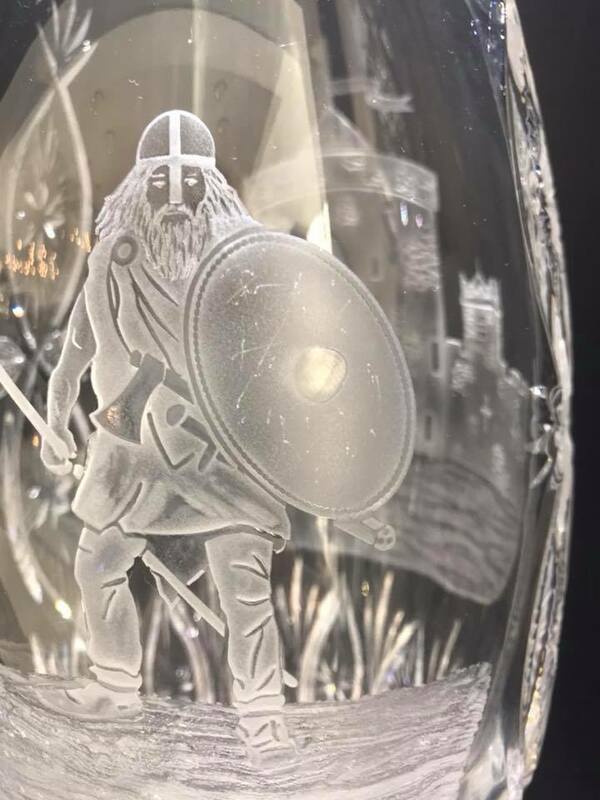 At the age of 19 years Martin made his way from Drogheda to Waterford, his uncle Tom Flynn who worked in Waterford Crystal recommended that Martin apply to work in the factory and in 1973 Martin started working in Waterford Glass. “It was difficult leaving my family in Drogheda at that young age” says Martin, but his parents encouraged him to move to Waterford, they knew the great reputation the company had and felt it would be a great opportunity for him. Martin moved in with his grandparents and even though Waterford was not home it was very familiar to him having spent many holidays here with his family. Martin started work in the cutting department, his memory of his first day was seeing row upon row of cutters at work, cutting in to crystal pieces, quiet a daunting experience!! The training for a cutter back in 1973 involved attending the on-site apprentice school, where you were set tasks to test your ability, this training in the apprentice school lasted a couple of months, the apprentices then got experience on the cutting benches under the watchful eye of the bench master. This training enhanced the skills of the apprentices, gaining lots of experience under the various bench masters. Martin was assigned to one bench master to complete his 5 years training; the apprentice bowl was the test piece for the cutters and Martin successfully graduated from his 5 year apprenticeship to become a craftsman. Martin then completed a further 3 years training before he became a Master Cutter. Having spent almost 19 years in the cutting department in 1992 the opportunity arose internally to train as an engraver, Martin had a keen interest in sketching and drawing all his life and had originally wanted to work in the engraving area, so when the opportunity arose he applied for the position and was successful. The skillset required for engraving is completely different to the skillset required for a cutter, this career change required Martin to retrain to use under wheel rather than the over wheel that is used in cutting. To become a Master Engraver a full 8 years training was required, Martin completed this and graduated as a Master Engraver. Over the years Martin has engraved many of our very prestigious pieces, he has worked on the Pebble Beach golf trophy, ATP World Tennis Players championship, motor racing, and entertainment awards to name but a few. When Martin was asked to name his favourite piece or pieces, he said “I have no favourite piece, I give the same level of dedication to detail on each and every piece I work on”, the words of a true craftsman. In 2002 Martin had the opportunity to visit Shanghai China, for the ATT world tennis finals where he was to engrave the winners name onto the spectacular Waterford Crystal trophy. At this event Martin met Lleyton Hewitt who was ranked Mo 1 tennis player in the world at that time. Martin felt honoured to engrave Lleyton’s name on to this spectacular trophy. A few years later Martin got to meet Roger Federer at the same tournament but this time it was held in Houston Texas U.S.A. Meeting both of these world class athletes at these prestigious sporting events, are stand out memories for Martin. The four seasons bowl is a beautiful piece that Martin designed and engraved, a piece he can be very proud of. On the bowl you can see he has used a mixture of all three types of engraving, sandblasting, buzzer and Intaglio engraving, Martin’s inspiration for this piece comes from his love of nature the flora and fauna of the Irish countryside and his fondness for the differing seasons. On the bowl you can see Martin’s beautiful interpretation of each season. This stunning piece has been much admired and sought after over the years by our visitors, some will ask for subtle changes to the piece, in order to personalize the piece for themselves, be it engraving the name of a first-born grandchild in the appropriate season, or newly-weds having their names engraved in the season they wed, along with many other requests, Martin will always happily oblige. Some of our visitors have likened the engraving on the bowl to the cycle of life, Spring/Birth, Summer /Youth, Autumn/Maturity and Winter old age. The four seasons bowl has proven to be a very popular piece with our customers. Martin worked in the Kilbarry plant the Dungarvan plant, and here on the Mall in the House of Waterford Crystal. 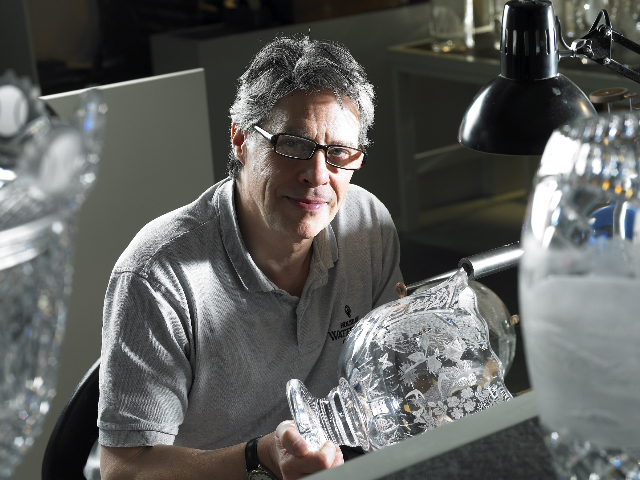 During 46 years at Waterford Martin feels very fortunate to have worked with so many talented craftsmen, he is very happy with the decision his 19 year old self made to return to his native county and join the workforce of Waterford Crystal. 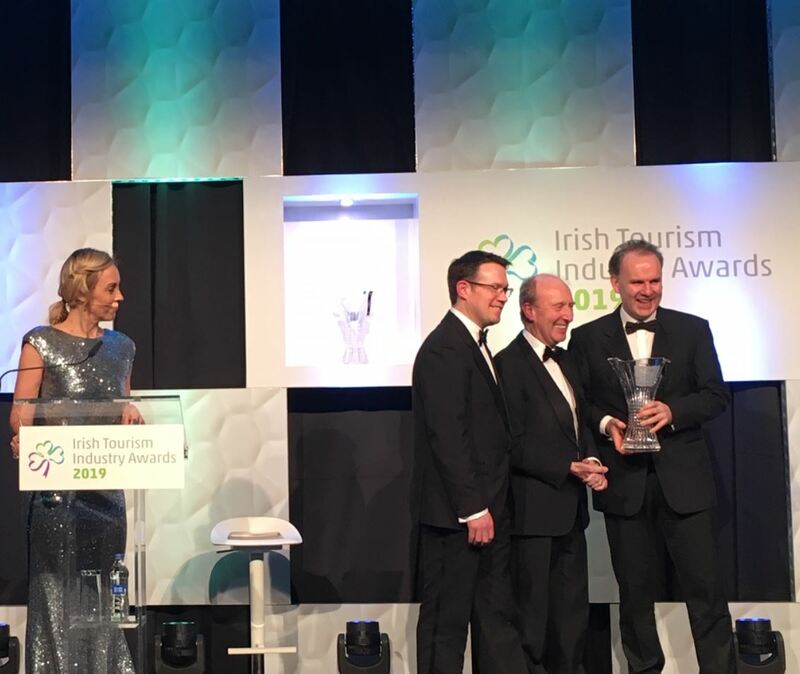 He has enjoyed his career with Waterford, he thoroughly enjoys meeting the interesting people he has spoken with on tours and loved the opportunities he has had to visit abroad representing Waterford Crystal. The change of weather in October calls for some expertly crafted warming cocktails that are infused with fall’s best flavours. We have partnered with mixologist The Cocktail Spin who has devised some cocktails that can be enjoyed throughout this colourful season and inspired by the Halloween Holiday. On October 31st invite your closest friends and family round and create these three delicious warming cocktails that will surprise your guests with delight. Serve the Halloween themed cocktails with sweet treats and snacks that will ensure your guests are not just there for the boos. The flavours of chocolate and pumpkin are October classics that are enjoyed both at Halloween and throughout the season of fall. Partnered with a firm whiskey favourite the Chocolate Pumpkin Old Fashioned cocktail makes this cocktail the ultimate tipple for the season, best served in our Waterford Crystal London Double Old-Fashioned Tumblers and enjoyed with friends. Combine all the ingredients in a mixing glass with a large ice cube. Stir. Strain into a Waterford Crystal tumbler with fresh ice and garnish and an orange rind. This striking looking cocktail is inspired by the spooky favourite film ‘Hocus Pocus.’ Serve this delicious whiskey-based cocktail with sweet treats. The cocktail is best served in our Waterford Crystal Lismore Connoisseur tumbler.